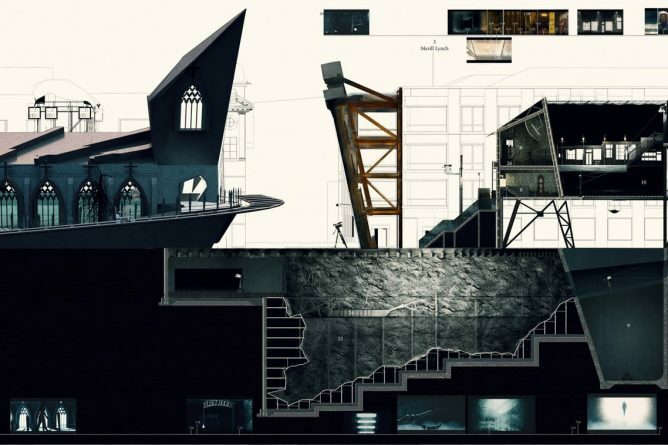 Graduating 5th Year MArch student, Bradley Sowter, has won this year’s £1,000 3DReid Student Prize for the best Part 2 student in the UK for his architectural retelling of a Christmas Carol. The Project, ‘A Christmas Carol’, explores the work/home divide within Central and how we can reconnect with our loved ones. Using A Christmas Carol as a proxy the project explores the uncanny nature of the unheimlich, within the art form of Film. Through the investigation of this film, architecture manifests itself throughout the city as temporary and permanent film sets.